It is with great pleasure that we announce French golf professional, Valentine Derrey as an official ambassador for Activ Doctors Online. Last year, Derrey won the Turkish Airlines Ladies Open, and ranked 7th on the LET (Ladies European Tour). 27-year old Derrey, from Paris, started playing golf aged 7 and quickly developed a love for the sport. She went on to become French Junior Champion three times in 2001, 2005 and 2006. She turned pro in September 2010, and already has an impressive resume, playing in tournaments around the world as part of the LET and LPGA circuits. 2014 was a busy year for Derrey, she placed 4th at both Sweden’s Helsingborg Open and the South African Women’s Open and 5th at the Allianz Ladies Slovak Open. In 2010 Derrey received a Communications Degree from Texas Christian University where she was also a member of the TCU Golf Team. Derrey speaks three languages, French, English and Spanish, and enjoys playing tennis and skiing in her spare time. As a professional athlete, it’s important for Derrey to manage her health, fitness and peace of mind at all times. This perfectly embodies Activ Doctors Online’s vision; enabling individuals to take control of their health destiny. 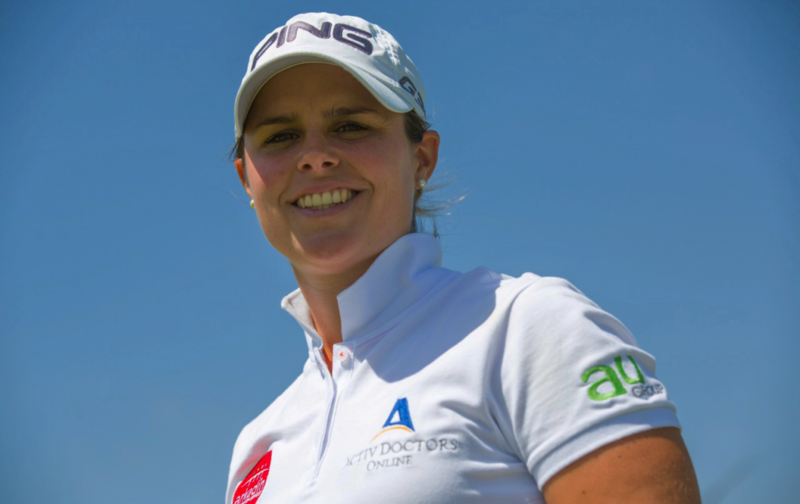 Activ Doctors Online couldn’t be more excited about sponsoring Valentine and we look forward to supporting her on her journey around the golf tour.